GEORGIA. 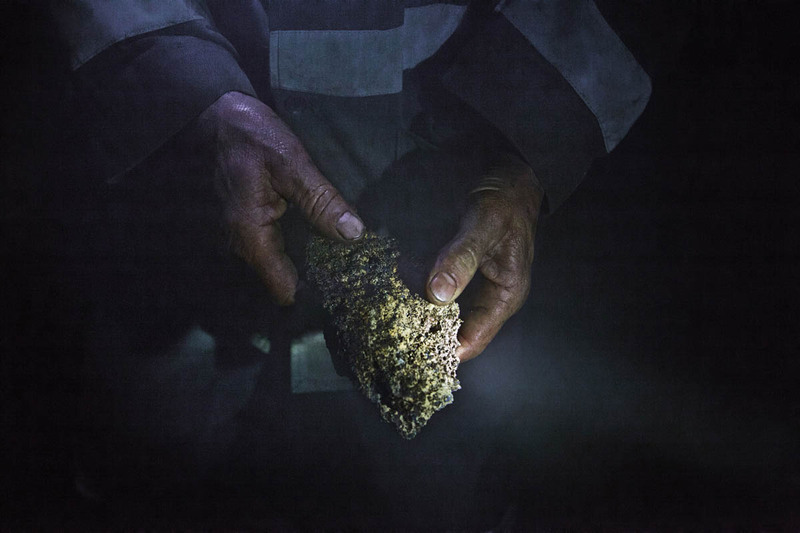 Miner holding a manganese in soil. Chiatura has one of the largest manganese reserve in the world. The local named it "The black gold".